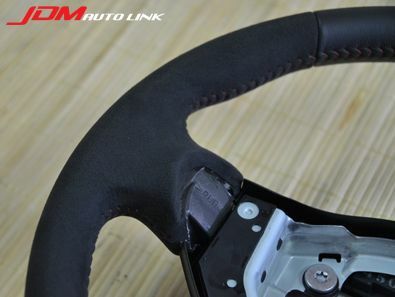 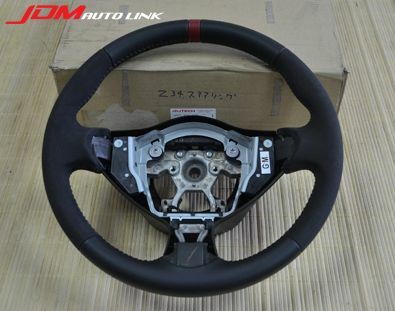 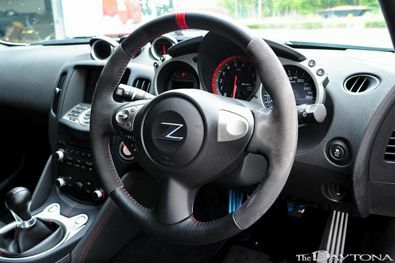 Hard to come by Nismo Alcantara Sports Steering Wheel to suit the Nissan 370Z Fairlady (Z34). 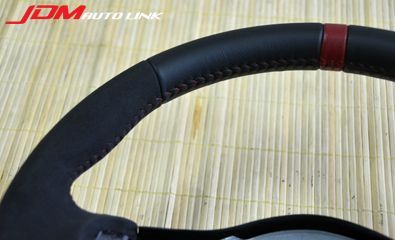 These features alcantara trimmed sides with smooth black leather on top and bottom. 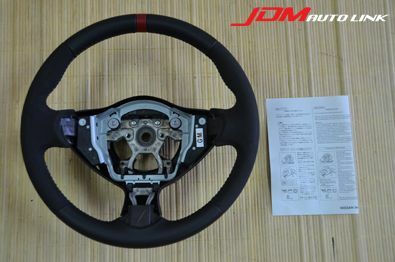 There is a red colour ring at the top to indicate the centre position too.